Having enjoyed the eyes-greeting visit around the fascinating Hanoi, you are now eager to head toHalong Bay, the stunning towering limestone islandsof all different shapes and sizes rising up from the bay’s emerald waters, which was written in UNESCO and recognized as the New 7 Wonder. Reportedly, the distance is 170km.But how to get from Hanoi to Halong Bay, in which way and which vehicle, may you wonder? Let’s examine several popular modes of transportation you possibly employ to fulfill your dream trip as suggested below. Taking a public bus from Hanoi to Halong Bay can be comfortable since many of the bus owners offer cushy reclining leather seats as well as air-conditioning. However, you need to get yourself to the Hanoi GialamBus Station first, which is 5km+ away from the center, then buy a ticket to BaichayTerminal (Halong City). The ride normally takes a couple of hours and the fare is rather affordable. But keep in mind that more than likely the driver would not speak English well, so you may be forced to use your body language; and also, don’t forget to bring with you some cash in VND, as neither USD nor credit card is accepted. This vehicle is best suited if you are an adventurous (solo) traveler and wish to experience what a local commuter does in his routine. Besides, less commonish but most preferred by tourists, is taking a minivan to Halong Bay. 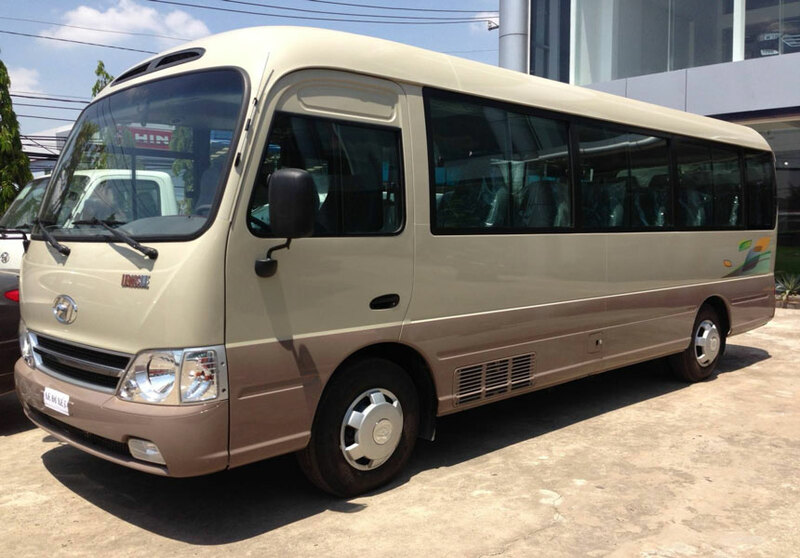 This type of transportation is more private and luxury, since it accommodates no more than 12 passengers and has a nonstop route, started from the center. The fare, luckily, almost stay the same. 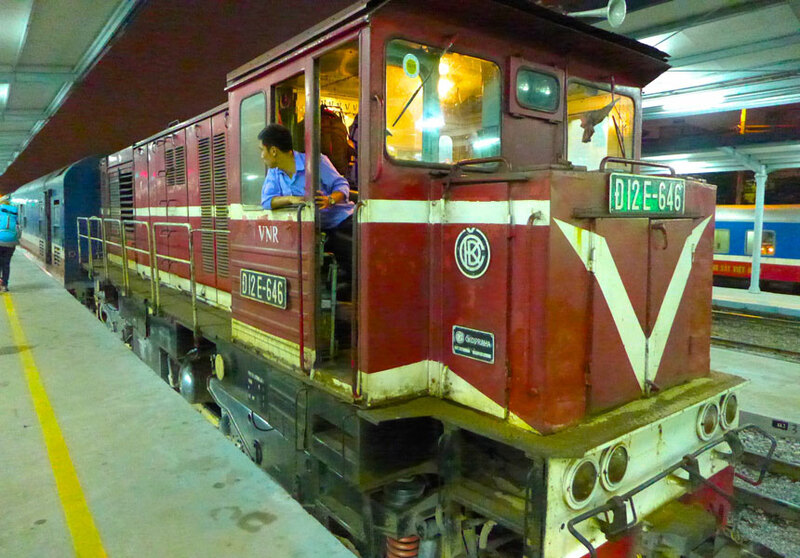 To Halong Bay from Yen vienTrain Station can also be an interesting option since it is confident and punctuation, yet it costs the least. However, it takes longer and again, you are required to travel independently (across 10km+ from the downtown) to get to the station and buy yourself a ticket in VND, but this time, English can be barely used. If you are a budget traveler, especially with family, and have spare time to enjoy sightseeing along the route, this is perfect! 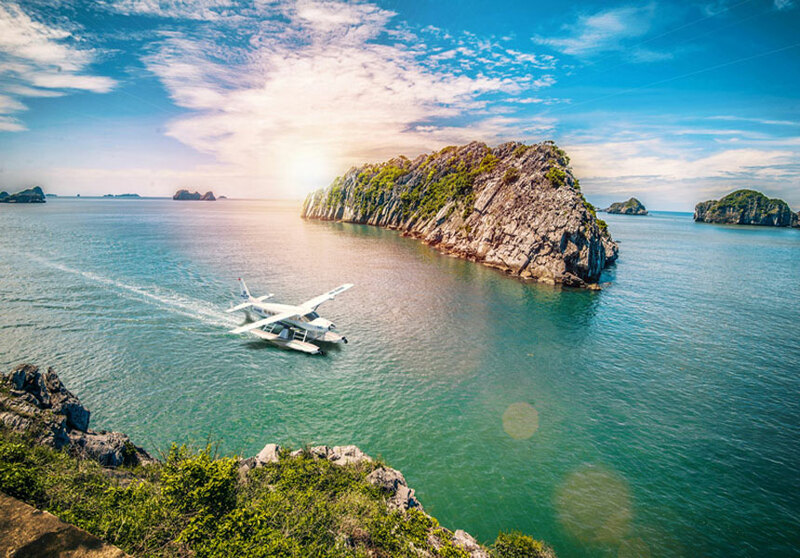 Catching a seaplane flight that lands to Tuan Chau Marina, a gateway to Halong Bay, is no longer a privileged permission to the rich. Now, that option is accessible to practically everyone. It is fast (of course), convenient, and ultimate luxury with a bonus bird’s eye views allowing you to witness Halong from an exclusive perspective. If you find no problem in reaching the Noibai Airport first (30km+ from Hanoi central), and paying a greater amount to have a seat in those private planes, then don’t hesitate to book one. It might be your once-in-a-lifetime experience, and the best choice to enjoy Halong without being exhausted from a long day trip. If you wish to manage everything on your own, from getting to the intermediate station to acquiring a ticket, please feel free to do so. Whichever vehicle to Halong Bay you may choose, it is totally safe and guaranteed to reach there. 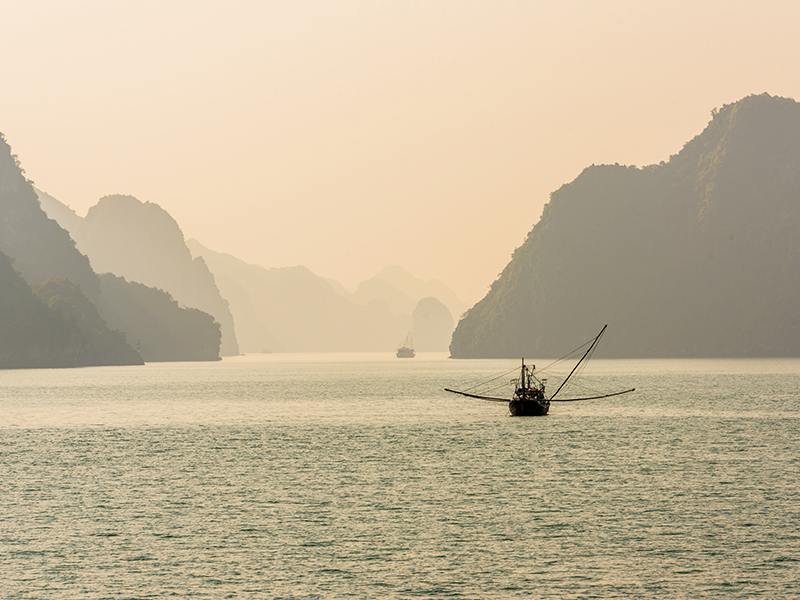 However, if you prefer to keep organizing as simple as possible and expect a hassle-free trip, booking a package tour to Halong Bay from Hanoi is advisable. 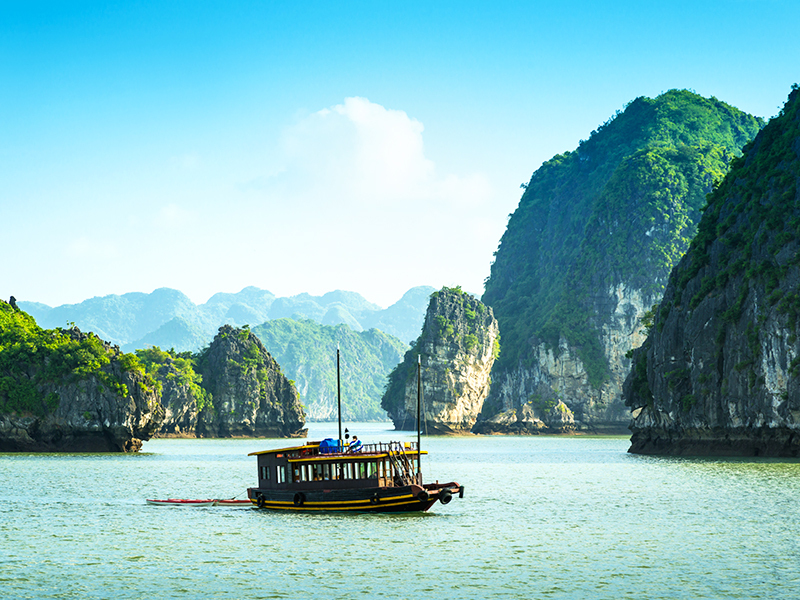 Worry not about minor details, just enjoy a fun-packed itinerary from a prestige agent, who can take care everything not only how to arrive at, but also what to experience in Halong Bay.